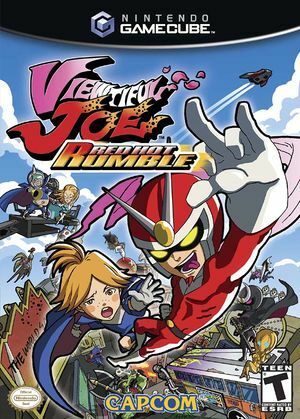 Viewtiful Joe: Red Hot Rumble is a slightly mission-based fighting/beat 'em up somewhat similar in style to Super Smash Bros. Melee and Power Stone, though it uses a modified engine from previous games in the series, featuring characters and powers from the Viewtiful Joe games and anime. Movies including the intro one show a black screen, press Start to skip. Fixed with Hybrid XFB in 5.0-5874. The graph below charts the compatibility with Viewtiful Joe: Red Hot Rumble since Dolphin's 2.0 release, listing revisions only where a compatibility change occurred. This page was last edited on 1 March 2018, at 08:33.